Sony has withdrawn from a research project looking into more efficient, low-power microchips. The research work was taking place in cahoots with IBM and Toshiba. It seems Sony has withdrawn from its R&D efforts due to reasons of cost. Sony announced last month it was planning to sell off its Cell manufacturing lines to Toshiba. 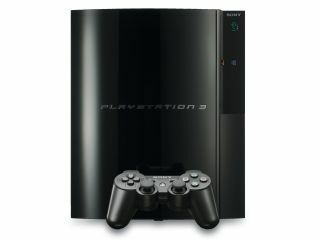 The Cell processor currently powers the PlayStation 3 alongside an RSX graphics chip co-developed with Nvidia. The joint research with Toshiba and IBM was looking at manufacturing processors using a 32nm process - a stage on from the new Penryn CPUs due to debut from Intel, which use the 45nm process. There are obvious benefits to having smaller circuitry - notably in efficiency and greater yield (i.e. getting more processors from a single silicon wafer). Sony will continue to work with IBM on the development of 45nm chips for the PS3. But the cost of developing the equipment needed to manufacture 32nm processors is huge. It seems Sony wants to concentrate on what it does best. Both the 40GB PS3 and the Xbox 360 currently use chips fabbed with a 90nm process. Both consoles are expected to switch chip production to 65nm processors either later this year or in early 2008.